Q – Kim C. of Lebanon, Missouri inquires: My 2-year-old son and I are planning a driving trip to Amarillo, Texas. Once there, we will be staying with friends, but we need help with an itinerary. A – Family Travel Forum is happy to help you with your road trip itinerary. Your route from Lebanon to Amarillo is about 600 miles along and should take an estimated 9.5 hours. However, we have researched some stops for you to consider along the way, to help break up the trip and make it more interesting. Springfield, Missouri, the first main city you will drive through, is only an hour away from Lebanon. I am sure that you are familiar with this stop, but just in case, here are some interesting places to check out while in town: the Wonders of Wildlife Museum and Aquarium and the Fantastic Caverns. Tulsa, Oklahoma, about 180 miles from Springfield, is the next city you will pass through. On your trip along Route 44 there are a few points of interest that you may want to pull off the road to visit. Upon just entering Oklahoma, you can check out the Spring River Canoe Trails State Park. Further along your route, you might want to spend sometime at National Rod & Custom Car Hall of Fame Museum. Note that neither of these are on Route 44 and you will need to spend sometime driving to them. But, since it is a long distance between Springfield and Tulsa, you may be looking for a detour. Once in Tulsa, there is some great shopping. Visit the shops at Utica Square or visit the Tulsa City Guide to learn about more shopping opportunities. Also while also in town you can hit Big Splash Waterpark, and, if you choose to spend the night in town, we recommend the Inn at Expo Square which is right next door to the park. 100 miles further along is Oklahoma City where there is also plenty to do, but since it is not that far from Tulsa we recommend you spending time here on your way home. Some interesting attractions to discover are: the National Cowboy and Heritage Museum and Frontier City. If you do wish to spend the night, the Comfort Inn North is close to Frontier City. 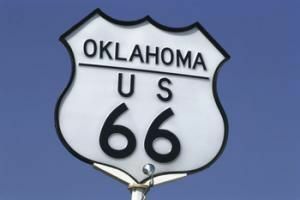 The drive from Oklahoma City to Amarillo, Texas is the longest stretch of your trip at more than 250 miles. Elk City, a small town along the way on Highway 40, marks a little less than the halfway point. Here you can visit the National Route 66 Museum as, the road that you will be traveling from Lebanon to Amarillo, is the famous former-Route 66. It might be fun to take a break and learn more about you’re the road that has taken you on your journey. The historical route also has a website that can point of some other fun things to do on your way to and from you destination. Check them out at Historic Route 66. You might even be able to find a festival or two. Good luck! And we hope that this information was beneficial to you. Please let us know if there is anything else that we can do for you before you trip. I know that you are traveling with your young son, so we though this story might be helpful to get you through the long car ride. Also, once you are home from you trip we would love to hear about it and it would be great if you could blog on Family Travel Forum so that other readers can learn about your experiences.